IGEL Technology further consolidated its leading position in the international thin client market and remained the clear No. choice 1 in Germany in 2014 for the ninth year in a row. According to the latest figures from IDC, IGEL sold more thin clients in Germany than any other manufacturer last year. Its market share increased to 30% – equivalent to an increase of over 25% in the number of units sold in Germany. IDC reports that a total of approximately 481,900 thin clients from all manufacturers were sold last year in Germany, which means that the market grew by around 22% and remains by far the most important sales region within Europe. IGEL also reported a fantastic international year also. The company improved its market shares both in Europe (e.g. in Finland, France, Italy and Spain) and overseas (in the USA and Australia). This continuous growth on the global market can also be seen in terms of total sales figures. 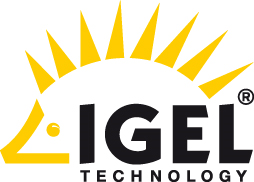 Of a total of 276,142 IGEL thin clients sold worldwide (+ 25%) approximately half of them were sold outside of Germany.